The mother of murdered teenager Stephen Lawrence has demanded the Metropolitan police chief take "decisive action" after a damning report found officers had spied on her family. 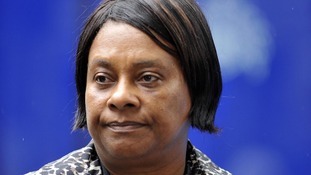 Baroness Lawrence has urged Sir Bernard Hogan-Howe to co-operate fully with the judicial inquiry ordered by the Home Secretary following the Ellison review's "devastating" revelations, in a letter seen by the BBC. A report by barrister Mark Ellison QC published this week found that one of the officers on the original investigation into Stephen's death, detective sergeant John Davidson, may have acted corruptly. It was claimed that Davidson had admitted having a "corrupt connection" with Clifford Norris, the gangland boss father of David Norris, who was finally convicted of Stephen's murder in 2012.